This delicate necklace features a classic combination of diamond and 9ct yellow gold. 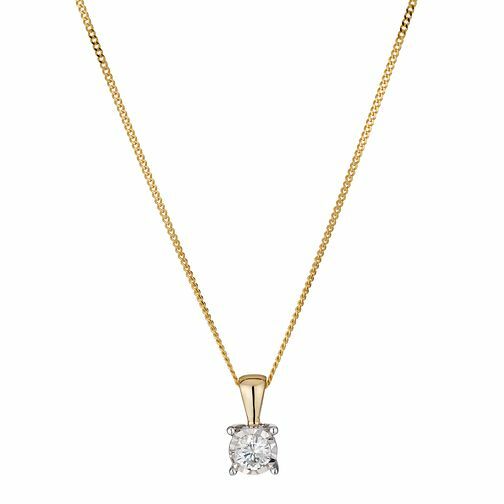 Set on a fine gold chain, a 15 point diamond solitaire is presented in an illusion setting to enhance its sparkle and radiance. A timeless pendant for all occasions. A classic combination of gold and diamond for endless sophistication.